I consider myself very lucky. 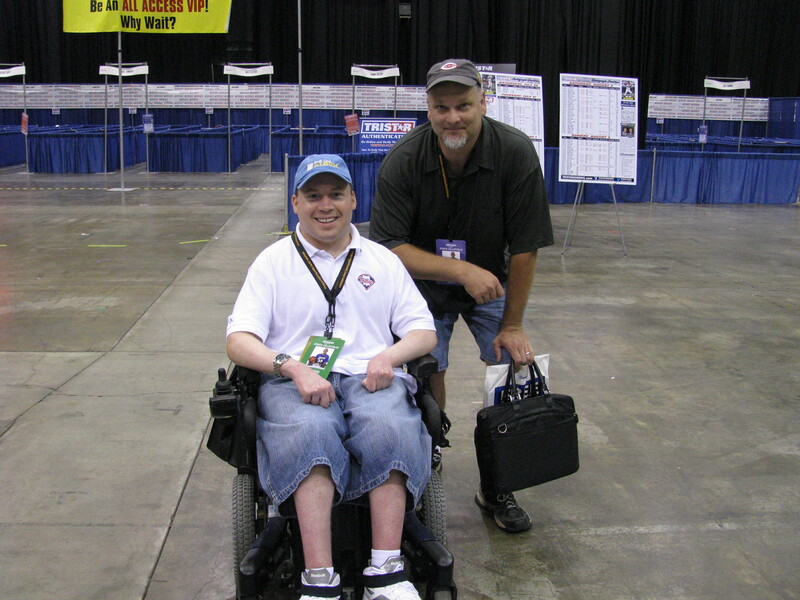 I’ve been able to attend six National Sports Collectors Conventions, with a seventh on the way. There are lots of collectors who never get the opportunity to attend a single one. 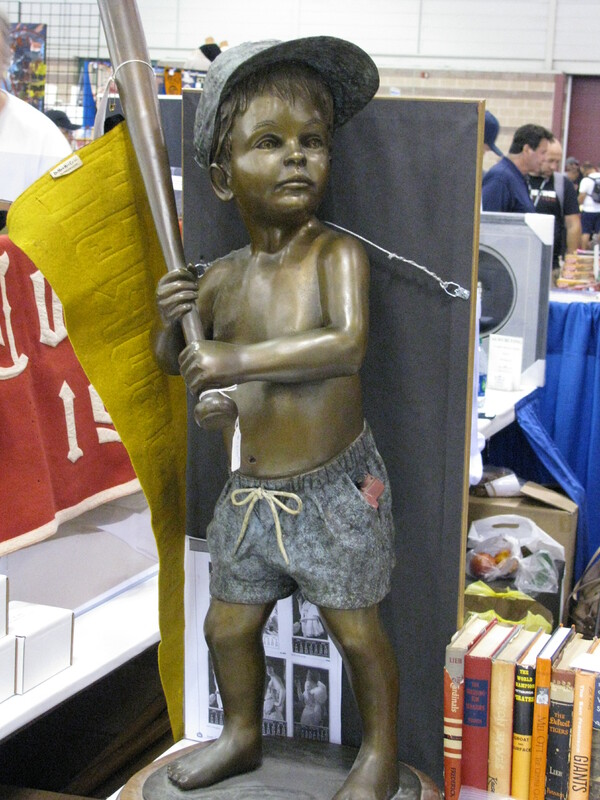 The National Sports Collectors Convention is the largest gathering of collectors, dealers, and other various industry figures. Its a time to see incredible artifacts, rare cards, and an opportunity to have your voice heard about any questions and/or concerns you may have about a certain topic. You also get to meet some really great people. Half of the NSCCs I’ve been to were held in Cleveland, OH. Two were in Baltimore, MD and another in Atlantic City, NJ. Although Chicago, IL seems to get the best turnout, I don’t plan on ever attending a show there. My favorite location is Cleveland. Its not in the city, and I don’t waste much power in my wheelchair going from the hotel/parking garage to the convention center. We’ve always found a space near the entrance, and walked right in. Cleveland seems to be my luckiest spot. I think it has a lot to do with my lucky Burger King. Each time I’ve attended the NSCC in Cleveland, I’ve stopped for lunch at Burger King on the way. Every time I’ve done this, something really cool happens to me during the show. I won’t say where this specific Burger King is located, but its one of their 15,000+ restaurants. The 39th National returns to Cleveland Aug. 1-5 this year. It will be held at the good old I-X Center. Tickets go on sale next month. My first trip to the National – 2007. Four months before starting Sports Card Info. 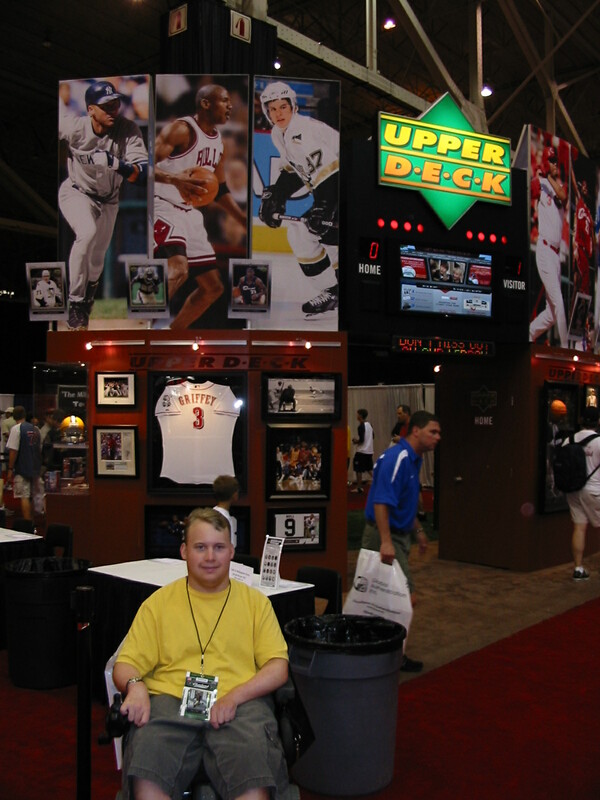 During the ’07 National, I purchased a pack of 2007 Topps Triple Threads Baseball from D & A Card World. 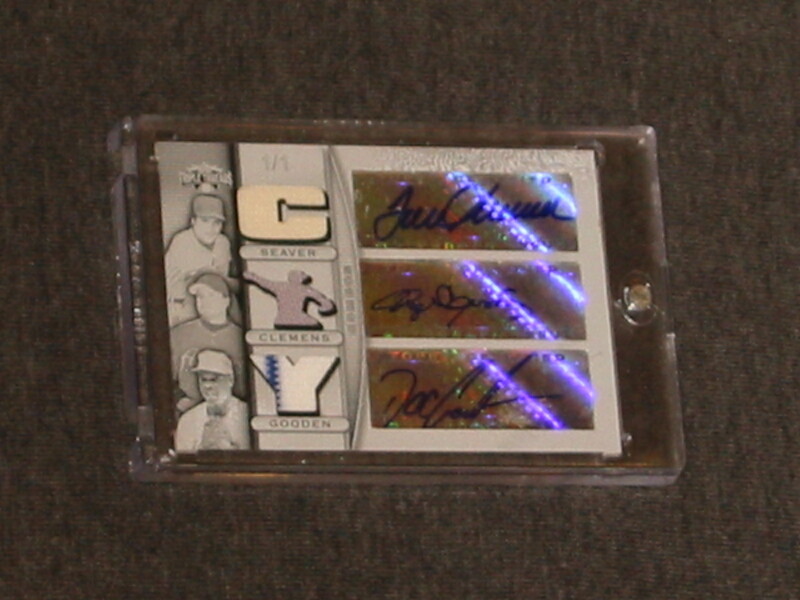 I ended up pulling this Tom Seaver/Roger Clemens/Doc Gooden Triple Relic Auto #’ed 1/1. 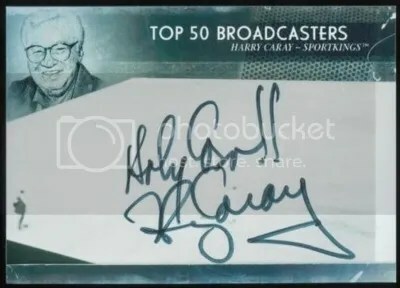 A friend of a friend got me behind the autograph curtain in 2009. 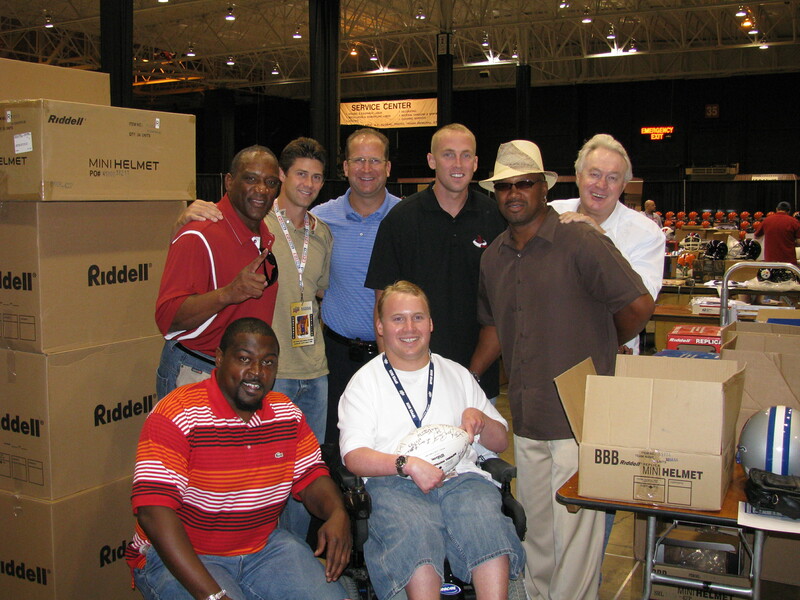 I got to meet seven Heisman Trophy winners – Ron Dayne, Billy Sims, Eric Crouch, Gino Torretta, Jason White, Mike Rozier & Steve Owens. 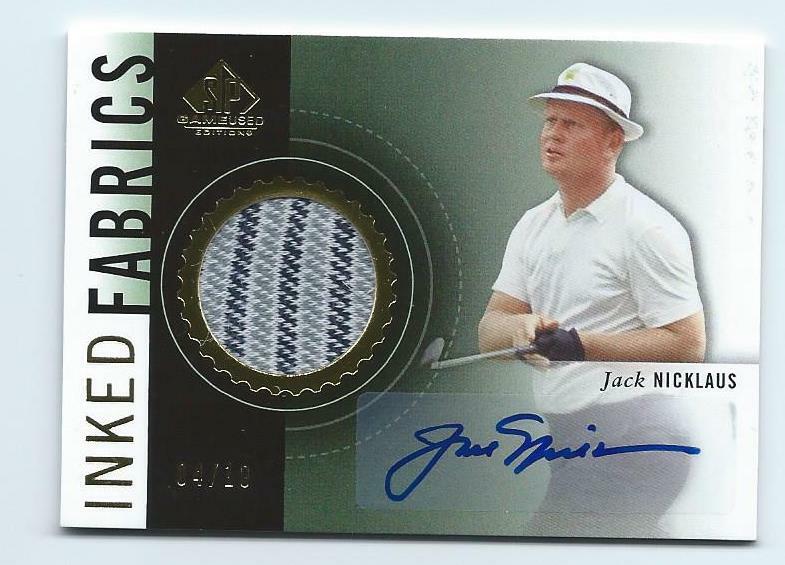 While participating in the Upper Deck wrapper redemption program in 2014, I pulled this Jack Nicklaus ’14 UD SP Game-Used Edition Inked Fabrics Auto Shirt #’ed/10. 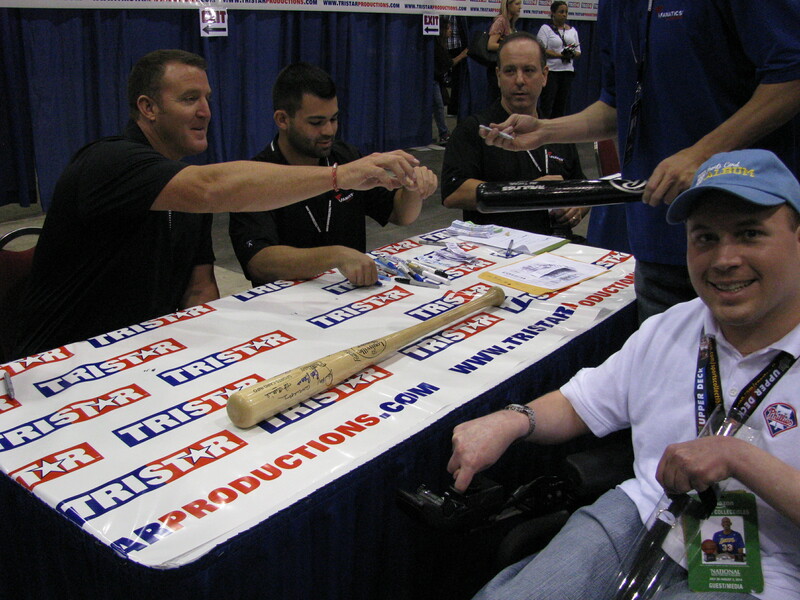 Jim Thome doesn’t attend many autograph signings. In 2014 he was in town because the Indians were unveiling a statue of him, and he made his way over to the National. Lots of media was around him while he signed autographs, making it a little difficult to get a quick picture. I probably should’ve purchased a photo ticket too. Nonetheless his autograph looks great on my bat. Ran into legendary sports artist Monty Sheldon in Cleveland, 2014. Famous for his Artballs and work on various Topps products. 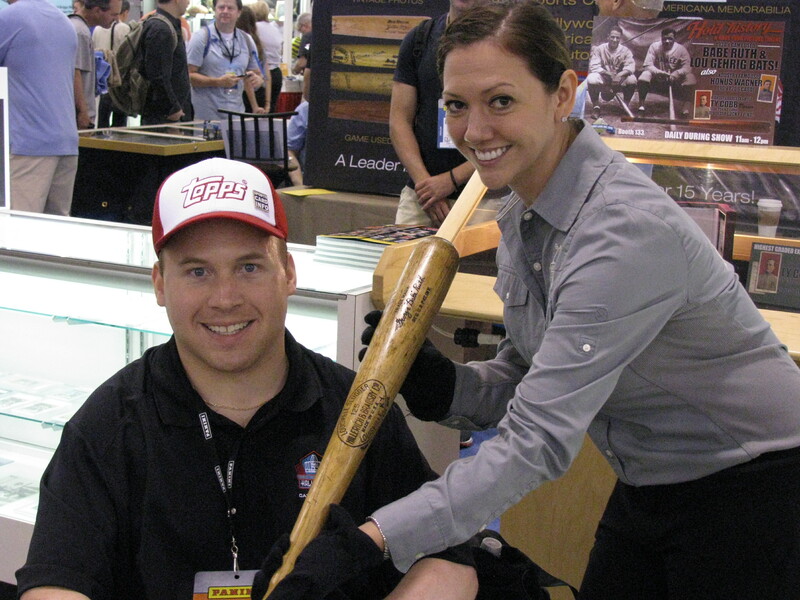 Getting up close with museum quality relics like this Babe Ruth bat from the 1930’s is another great element of the show. Memory Lane Auctions allows collectors to do this a lot – Atlantic City, 2016. You’d be surprised what you can find – Atlantic City, 2016. I can officially confirm that the logo used for last week’s “Pin-Up” of the Week post is the official logo of the 2016 Little League World Series. The gift shop inside the Little League Museum has started to sell some 2016 merchandise which contains that exact logo. As of this writing the only 2016 pins they have are the jerseys from the various regions, and the ring top pins. The main logo pins will be in shortly. Ring top pins are a big seller each year. They’re about the size of a cough drop. From a design standpoint, nothing much changes other than the date. The 1998 Little League World Series was the last year they used the keystone logo in the middle of the ring top pins. Starting in 1999 they switched to this logo which they used for the next sixteen years. For 2016, Little League decided to change the logo once more to the one you see pictured above. It looks just like the main logo for this year. Whether they keep using this logo within their ring pins for a while is unknown. That’s what they did before. Ring top pins can be a bit more expensive even from a straight retail perspective. The average retail price for one is $8.00. Over the years, some have become rarer than others. The last ring top pin featuring the keystone logo can be quite expensive. Upon changing the logo for 2016, I don’t see the 2015 ring top pin going up in price. Little League still has a good selection of those for sale.